In this one day course we will be making harvesting or basket sticks. 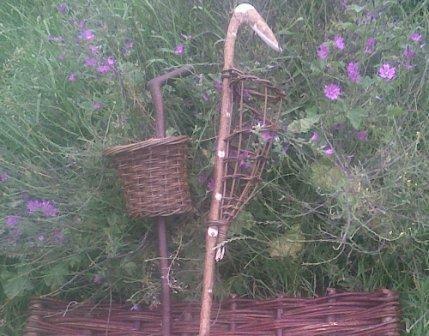 Using both willow weaving skills and hazel stick making techniques we will create walking sticks which can be used to carry freshly picked berrys or even hook hard to reach apples out of trees. If there is time you qill also be able to make a traditional besom or 'witches broom' as well! All these items make ideal Christmas gifts to friends and family or even to yourself! 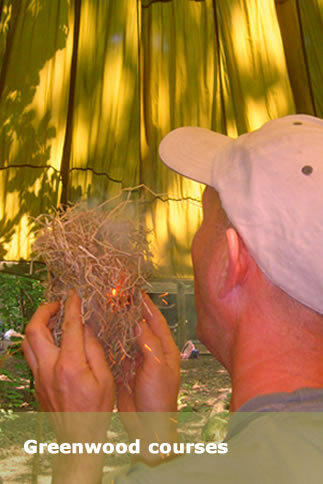 Have a great day at our workshop while making useful and decorative natural items. Organise three of your friends to come and you can come for free, please call me to arrange a specific date (Tuesdays, Wednesdays or Thursdays).